TMS Entertainment Co., Ltd. (Head office: Nakano-ku, Tokyo, President: Yoshiharu Suzuki, TMS below), together with Shogakukan Inc. (Head office: Chiyoda-ku, Tokyo, Representative Director and President: Masahiro Oga), Yomiuri Telecasting Corporation (Head office: Osaka-shi, Osaka, President: Kan Utagawa), Nippon Television Network Corporation (Head office: Minato-ku, Tokyo, President: Yoshio Okubo), Shogakukan-Shueisha Productions Co., Ltd. (Head office: Chiyoda-ku, Tokyo, President: Shinichiro Tsuzuki), and Toho Co., Ltd. (Head office: Chiyoda-ku, Tokyo, President: Yoshishige Shimatani), has produced the new animated movie "Detective Conan: Zero Enforcer," the 22nd installment in the Detective Conan series, based on the original manga by Gosho Aoyama. The new film will be released nation-wide on April 13. The previous 21st movie in the series, "Detective Conan: Crimson Love Letter," has recorded the highest box office revenue of the series so far, earning 6.89 billion yen in Japan and has become the top earning Japanese movie of 2017. TMS Entertainment’s President, Yoshiharu Suzuki said, "Advance ticket sales began on March 3, 2018 and already over 170,000 tickets have been sold. This is even a stronger momentum than the previous movie. We are also actively working on overseas licensing and plan to release the movie in various countries after its domestic release. I look forward to having people all over the world enjoy this work." This film follows a secret mission and a mystery in which those who expose the truth clash against those who stand for justice. The feature includes celebrities for voices, including actress Aya Ueto, reappearing 12 years after her major role in the TV series, and comedian Daikichi Hakata who joins the cast for the first time. The song expresses the clash between different worldviews that takes place in the story. 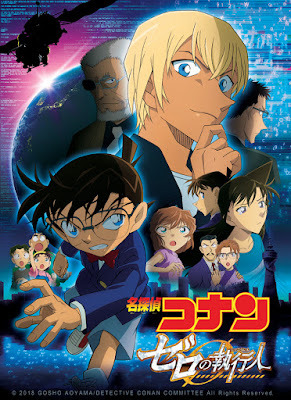 Director Yuzuru Tachikawa participates in production for the first time, with several long-time members involved in the staff and cast, including script writer Takeharu Sakurai, Katsuo Ono writing the music and Minami Takayama starring as the main character Conan Edogawa, along with Wakana Yamazaki as Ran Mori, Rikiya Koyama as Kogoro Mori, and Toru Furuya featured in the role of Toru Amuro. The production is also gaining attention for a wide range of topics, including cooperation on filming from Paradise City, Korea's first integrated resort (IR) facility, managed by Sega Sammy Holdings. A newly built facility in Tokyo Bay called "Edge of Ocean" will be the site of the Tokyo Summit. On May 1st, the summit was held with 22,000 police officers on site premises, but a massive explosion hits this enormous facility. The incident bears the hallmarks of Toru Amuro, a member of the Security Bureau of the National Police Agency, the agency in charge of Public Safety Police across the country, as "Zero." Conan can't help but be suspicious of a previous bombing incident and Amuro’s mysterious secretive behavior. At this point, fingerprints are found on evidence at the crime scene that match those of Ran’s father, Kogoro Mori. Could this be some kind of conspiracy? Conan and Amuro begin to clash over the arrest of Kogoro. Is Toru Amuro a friend or foe? The manga first serialized on the Weekly Shonen Sunday, published by Shogakukan Inc. in 1994. The total sales of the comic series of 94 published volumes exceed 200 million copies. The series is one of the best selling detective mystery comics and is very popular internationally as well. Shinichi Kudo, is a high school detective. One day, suspicious men in black forcefully give him a strange poison and his body shrank to the time of when he was in the first grade! Hiding his identity, he made a new name for himself: Conan Edogawa. 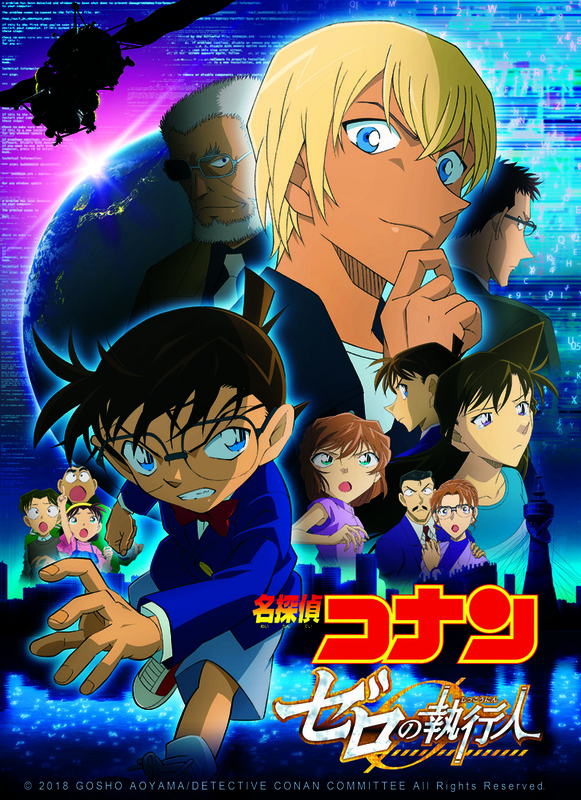 Conan now lives with his childhood friend Ran Mouri and her detective father in hopes of hunting down the Black Organization while being involved in cases. He faces numerous difficult cases and goes against a notorious thief but keeps on solving mysteries to find the one and only truth! TMS Entertainment Co., Ltd. (better known as TMS) is one of the world's largest and most distinguished animation studios. TMS has won recognition from the international filmmaking industry for its highly-acclaimed animation, pioneering techniques and proud commitment to quality. With a dedicated team of development, production and design executives, TMS's growing reputation is reflected by the versatility, artistry and originality of the programs the company has produced for international markets worldwide.